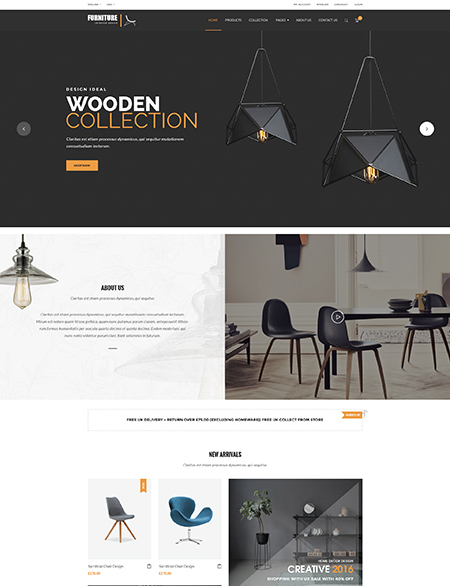 The time has come to represent Furniture eShop a woo-commerce Multi Vendor Marketplace template. This is a WordPress woo-commerce theme and it is fully functional online store and multivendor marketplace. To make it more clear and understandable, lets explain it on the example of Amazon. This template has exact same function as Amazon has. As it is known to everyone and on the Amazon you can register, put up your products on sale and etc. After Amazon reviews it and approves, the product will be up on sale. As usual in every business, every side gets its percentage; thus, after the products is sold Amazon gets it percentage and the seller its percentage. After clicking on it, you will be transfer on the page, which is a registration form and login form. The most important part is two radio check box, which says: “I am a customer”, “ I am a vendor”. You check those depending on which person you wish to be- a customer or a seller (vendor). 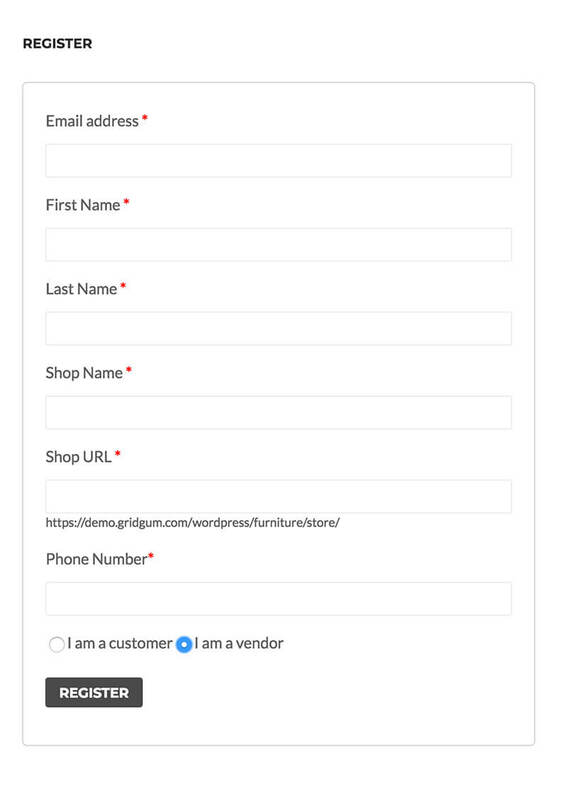 After choosing "I am a vendor" check box, there will appear several things, which should be filled in. You will see that there instantly drops down a from where should and must be indicated- Shop name, Shop URL and Phone number. After you click on a register button, you will be redirected on your own vendor dashboard. This page is used to manage the account and upload a product. Besides this, vendor will get an email, which says what is the username, and password that should be used to log in dashboard. There is every tool, which is useful for a vendor. Looking over the questions statistic, which our customers write most frequently is that how should a vendor upload a product? The answer is simple. It comes with the documentation, all the information is given there and it provides video tutorials. 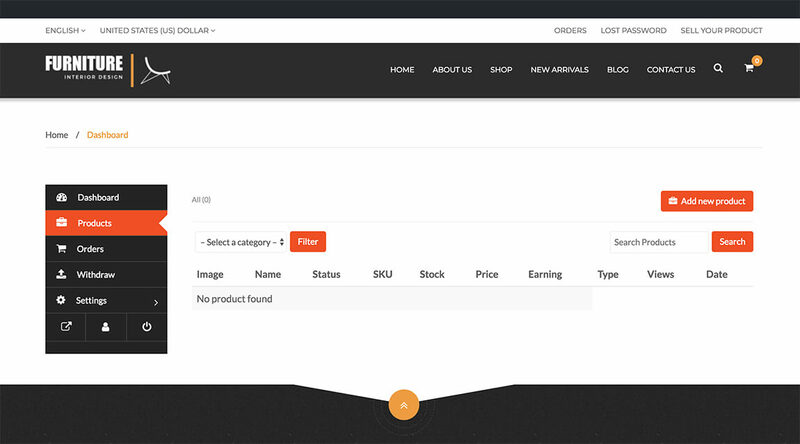 It can be seen after purchasing in Furniture eShop- woo-commerce multi vendor marketplace template. A vendor should always know and consider the fact that when he/she uploads a products on the website, it will not be seen automatically. There are some steps which a product should overcome. First and foremost, the special reviw team will look over the product discuss if it fits all the conditions and after a huge consideration they will approve it or deny it. If the product is approved, it will appear instantly on the marketplace. How the money will be split is depended on the vendor and the website owner. However, the vendor always has the information about it before starting business with the website. To say the truth, such kinds of templates are very rare, if there are, most of them cost a lot. This Furniture multivendor marketplace is a great deal for you and it is full programmed and functional. If you came across with a problem, even a little one, please feel free to contact us, write on the comment section and our team will respond as soon as possible. They will also create a video tutorial to make everything clear for you.